The culmination of 30+ years of R&D, our flagship 25 Watt iron is the pinnacle of all purpose soldering applications, design and technology. It is with immense pride that we at Soldron can offer for purchase a product that is as far ahead of the competition. The 25 Watt SI25A has been through many iterations since our conception in 1983 and continues to be our best seller and most loved product till date. 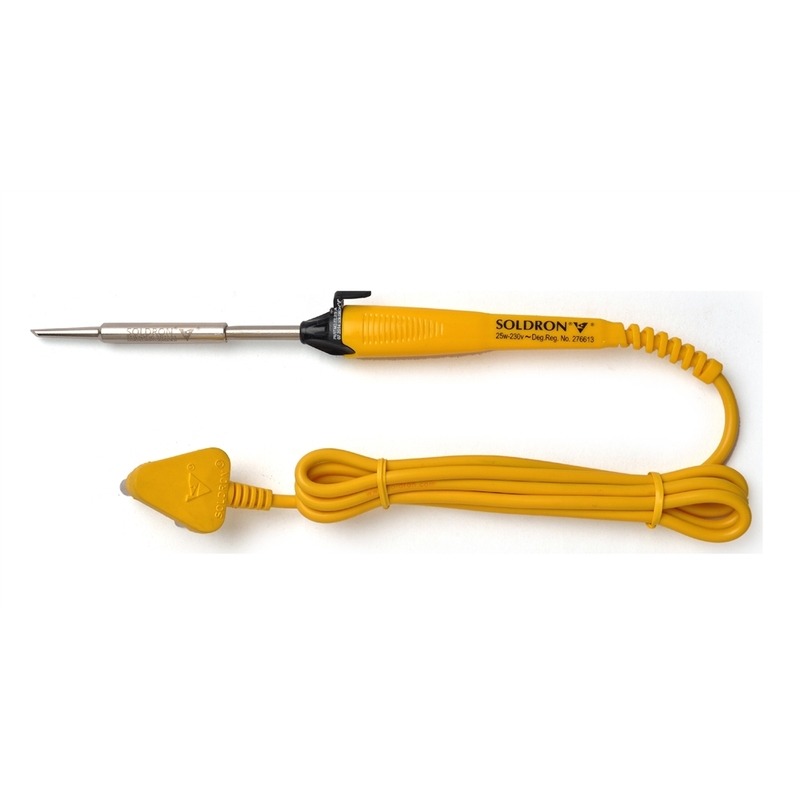 NOTE: Soldron Soldering Irons work best with Soldron spares and accessories. I have this 25w soldering iron bought about 25yrs ago, which is still working and just bought a new one just to have an extra iron. The quality is very good, simple and extremely reliable. Also I wanted to try soldermall online shop, definitely thumbs up and it was shipped very fast and well packed.